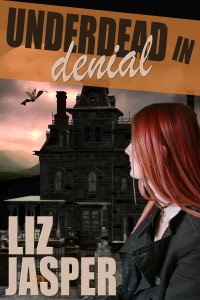 This entry was posted in Book news and tagged liz jasper, sneezy dwarf, underdead. Bookmark the permalink. 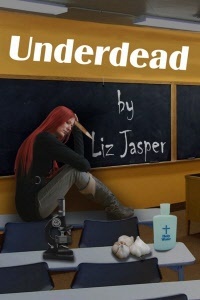 The news about a new Underdead book is wonderful!!! The sneezing, not so much 🙂 I’ve been waiting so patiently for the third installment… Thank YOU!!!! Thank you so much for the enthusiasm about the third book and for the well wishes. If I could I’d sneeze out the next book I’d be done right now, but, oddly, it doesn’t seem to work that way. And I suppose that would be gross, but my gross threshold has changed over the past 24 hours. As it does when one is bonding with the tissue box. I liked this post because you’re hard at work on Underdead 3. Yay. Bless you and here’s a tissue. Interesting subset of Sneezy Dwarf. Oh no no no … kleenex not good! It’s GOT to be Puffs Plus with lotion. Trust me on this. Ginger, we have to part ways on the tissue issue. I’m a Kleenex with lotion fan. Puffs feels like sandpaper to me. Yea Liz, keep up the writing. Sorry about the sniffles. Know about those first hand. I’m sorry you are in the sniffle boat here, too. Don’t know about you, but I am ready to get off! Lol. Thanks for the writing encouragement! :)) It’s fun to be back deep into the book. I live in the Sacramento Valley, allergy capitol of the world. I’m locked inside, avoiding pollen, & working on my quilts. Waiting with baited breath for your next book. Wish I could send you a case of tissues, but I need them myself. Keep up the goodwork! Yeah, there’s always something blooming in that area. You poor thing. Hang in there! May you always have a good tissue handy! I always wear something with pockets & they are always filled. Take care! Just for the record, I totally won the Kleenex v Puffs debate.